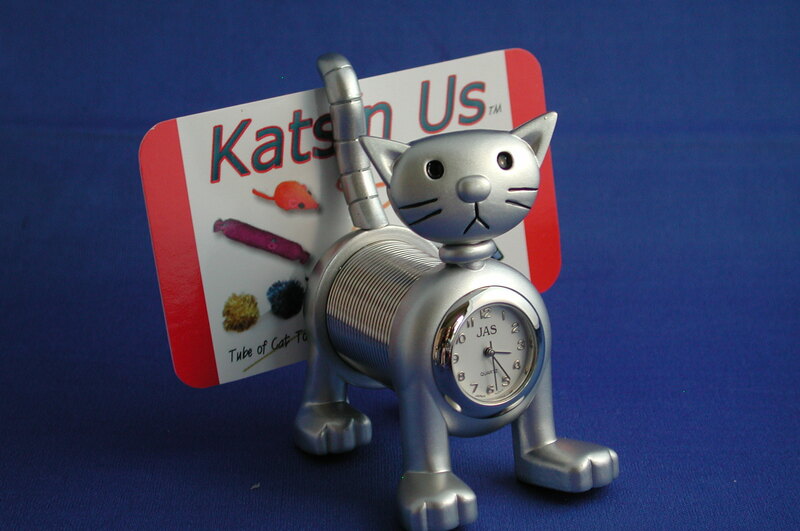 Adorable Cat miniature clock with a moveable head and stretchy spring body that is perfect for holding memos and business cards. The timepiece is Quartz and keeps purrfect time! Featuring sturdy metal construction with shiny chrome plated finish and a quality quartz movement clock tucked into the chest. Great gift for that favorite cat lover! Stands about 3 inches tall and 2 inches wide. The mouse Teaser Wand Refill Teaser Attachment is a great addition to your Teaser wand collection.